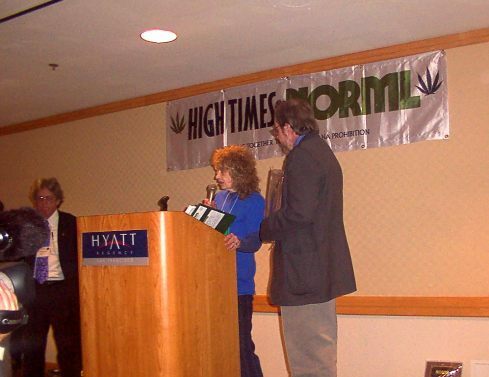 IMMLY's photos of the 2003 NORML Conference in San Francisco, April 16-20, 2003 can be found HERE. 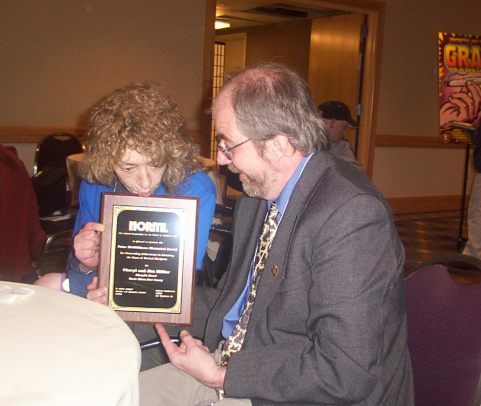 Below are photos by Richard Lake of Jacki and Gary accepting the Peter McWilliams Award for Outstanding Achievement in Advancing the Cause of Medical Marijuana for Jim and Cheryl Miller, who were unable to travel to San Francisco for the conference. 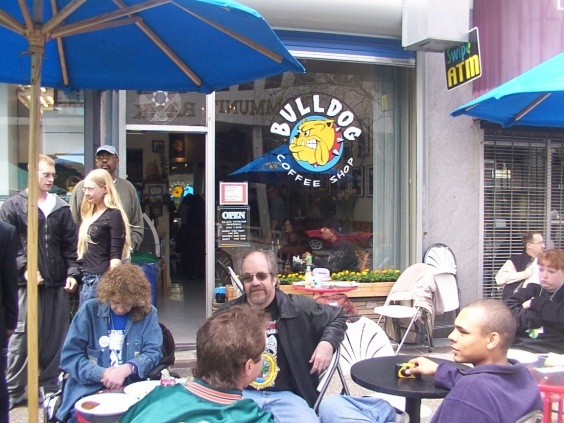 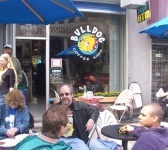 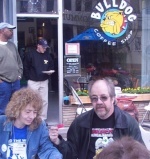 Also included are a couple Richard Lake photos from the Bulldog Cafe in Oaksterdam. 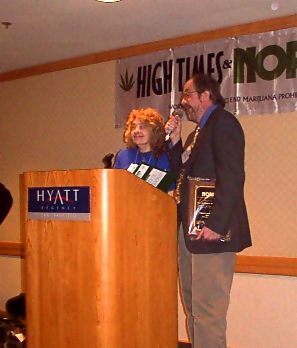 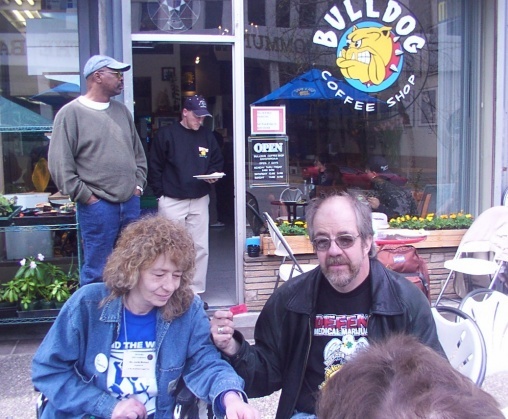 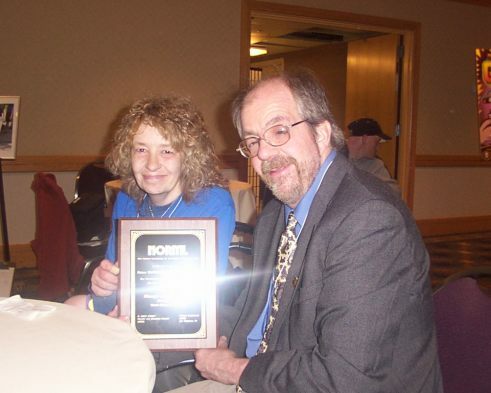 Thursday, April 17, 2003: Jacki and Gary accepting the Peter McWilliams Award for Outstanding Achievement in Advancing the Cause of Medical Marijuana for Jim and Cheryl Miller at the 2003 NORML Conference opening reception.